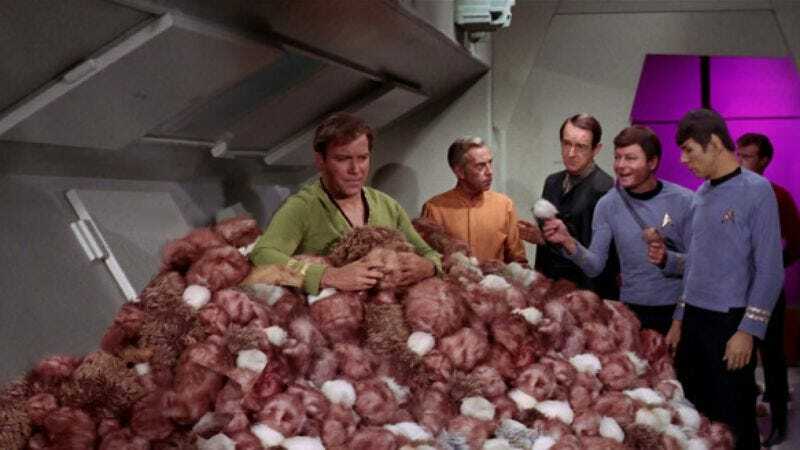 Despite being a show about the expanses of space (and making out with whatever you find there), Star Trek, like all other shows in the mid-’60s, was broadcast in the boxy 4:3 ratio. The beloved original series may have explored the far flung outer reaches of the galaxy, but the literal scope of the image was confined by television sets of the day. Illustrator and concept artist Nick Acosta has started to take steps to amend this shortcoming. Using images from the HD sets, Acosta took scenes where the camera panned over the same set and stitched the shots together to create a much larger canvas for the action. Sadly, the lava monster (or “Horta”) from “The Devil In The Dark” episode is not included. Then again, Acosta has also thus far excluded any half-naked Shatners in his project—so one takes the good with the bad.